I've got a good celeb health/fitness feature to tie in with London Marathon on 26th April. 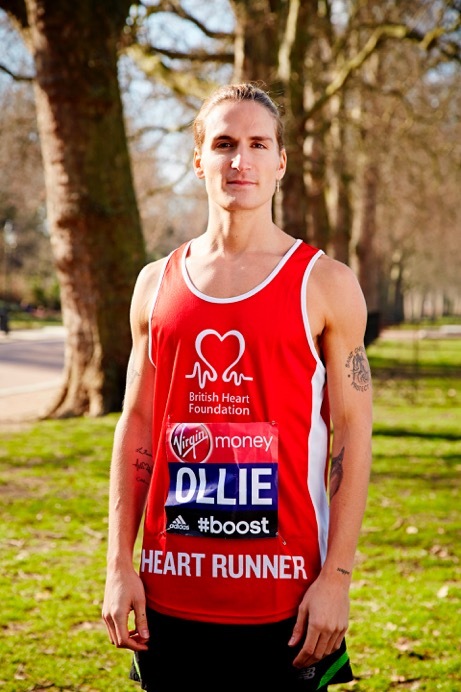 Made In Chelsea’s Oliver Proudlock is running the Marathon for British Heart Foundation and is available for interviews and photos. There's a good angle for this - he’s concerned about his health on such a strenuous event because his family have a history of heart conditions. His father, uncle have both had heart attacks, and his grandmother died from one. So Oliver is concerned that the marathon may do him more harm than good and he is using wearable tech to make sure that his heart rate always stays within healthy boundaries and he is using a cholesterol reducing protein shake as part of his diet. Oliver said "I am a bit concerned that given my family history of heart attacks that I might keel over before I got to the finish." AOB Public Relations is a boutique PR firm based in London specialising in consumer facing PR for the entertainments industry. We represent talented people in the arts, actors, TV presenters, newsreaders, sports-men and women and musicians. The agency also has years of experience in event management and media co-ordination, as well as running hugely successful campaigns for venues, brands, and corporate companies.